Can’t stay awake until midnight? Join us for a countdown to noon for kids (or adults!) who can’t stay awake until midnight. 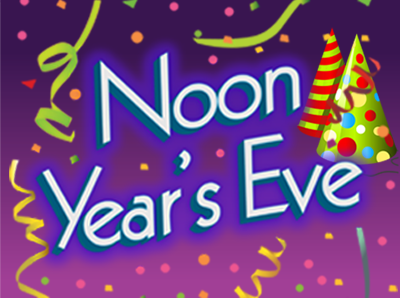 We’ll have snacks, games, crafts, and an apple juice toast at noon!